Yet the ugly truth is that we very easily can. The connected and powerful will be fine, as always, and the powerless will be maimed and killed, much as before, except with some added viral videos that will lose their ability to shock over time. We absolutely have the power to keep the status quo, but the duty to our fellow citizens and future generations is to fix this problem at once. It is time to move beyond outrage to legal action. We know the problem: too many police officers clearly think very little about killing unarmed citizens and engaging in obvious coverups. Here are two proposals to bring this essential institution back under the rule of law. Proposal #1: Place every police department in America under federal consent decree. In places where police departments have been routine violators of civil rights, the Department of Justice has the power to remake the organization. The 1994 Violent Crime Control and Law Enforcement Act gave the government the right to sue police departments anywhere in the country if they exhibited a pattern and practice of using excessive force and/or violating people’s civil rights, and to compel them to change those practices. This has already been undertaken in around twenty cities, and each time, the practices of the police departments subject to consent decree consistently improve with regard to justice, safety, and overall quality of life. It is clear that there are too many police departments around America with a culture that tolerates the killing unarmed citizens. The documented cases of brutality are too numerous to count. It is therefore too dangerous to wait until the next murder of an unarmed citizen before we slowly turn the bureaucratic machinery to ask politely if they would consider reforming. The commentary of various police unions also lets us know that this institution has a different agenda than that of the citizens they are sworn to protect, one of self-preservation at all costs. The Executive Branch of the U.S. Government, through the Department of Justice, should undertake a historic effort to place every police department in America under federal consent decree at once. It is clear from the number of citizen deaths, between 500 and 1000 per year, that we cannot fix just “the problem departments,” but must turn the page and enter a new chapter of policing the citizenry of the United States. This would clearly be a massive undertaking, one that would be expensive in terms of manpower and funding. Yet, in terms of protecting the lives of American citizens, no expense should be spared. Of course, we have a recent precedent of massive scale projects to protect American lives. Following the terrorist attacks of September 11, 2001, the Global War on Terror has cost the United States over $1 trillion and countless lives of soldiers and civilians abroad, supposedly in the name of saving lives at home. Activist Shaun King reminds us of the numbers which compare the threat of terror and the threat of violent policing. He points out that 9/11 deaths totaled 2,996 lives. In the resulting wars to follow, US soldier deaths in Iraq amount to 4,491, with soldier deaths in Afghanistan counted at 2,312. All told, that is 9,799 people killed in the War on Terror on the American side. The number killed by police in that same time period since 2001 is approximately 15,000 citizens. The issue of police brutality should thus be the subject of a major intervention. The Department of Justice will need thousands of new attorneys to manage these consent decrees. As it so happens, jobs for new attorneys are scarce, and the manpower should be readily available. This will cost billions of dollars, but we are talking about saving the lives of thousands of Americans. Our past policies show that this is a reasonable cost for such a solemn task. Moreover, we will emerge from the decade of these consent decrees with the finest police forces in the world, rigorously trained to respect our Constitution and safeguard the lives of all Americans while becoming a beacon of human rights. It will be worth the cost. Sign a petition for this proposal at Whitehouse.gov here. The image is sickening and all-too common. An American citizen, usually unarmed, has been shot dead. The police officers involved in the killing calmly saunter about as blood leaves the person’s body. They offer no medical attention. They might leave the body in the sun for hours. They are not alarmed and clearly do not feel they will need to account for this all-too-normal part of their jobs, apparently. This must change immediately. 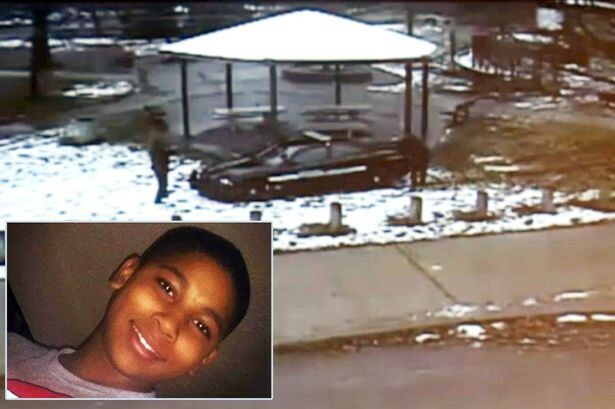 Twelve-year old Tamir Rice, shot for holding a toy gun, offered no medical attention, and left to die. In these cases of extra-judicial killings, police officers have converted their positions as servants of justice, required to bring people before a court of law, to a position of sole judge, jury, and executioner. Our legal system currently affords these men and women the benefit of the doubt when meting out death to their fellow citizens. As we have seen in cases from coast to coast, the police are no longer worthy of assumption. To regain the public trust, I propose that the police should be required to prove why the killing of every citizen was absolutely unavoidable, before a judge in a court of law. The United States is already the member of a small group of countries who still allow the state to commit murder through capital punishment, alongside China, Saudi Arabia, and Iran. Legally, these executions are supposed to be conducted by the State, not by the individual officers in split-second judgments. It should be incumbent on police departments from now on to organize their case, with as much evidence as would be required for self-defense in a real court of law, to prove why they had the right and the absolute necessity to take the life of a citizen. Surely, with all of the body cameras and dash cameras available, this should be easy to accomplish. There are ample resources to collect forensic evidence. If these citizens truly meet the legal definition of requiring deadly force, a matter that has already been decided by the Supreme Court, let the police provide the evidence to support their claim of having no other choice but to kill. If they cannot, let the police department and the individual officers be either civilly or criminally liable. Just as American citizens under the law are supposed to be innocent until proven guilty, we must also give citizens the supposition that killing them is illegal unless proven otherwise by law enforcement officers before a judge. As I said before, we can absolutely go on living life in America where we watch video after video of unarmed citizens shot and left to die. But we should choose something better. Let us take action as a nation. Expert in strategic trends and decision making. Author. Linguist. Bassist.